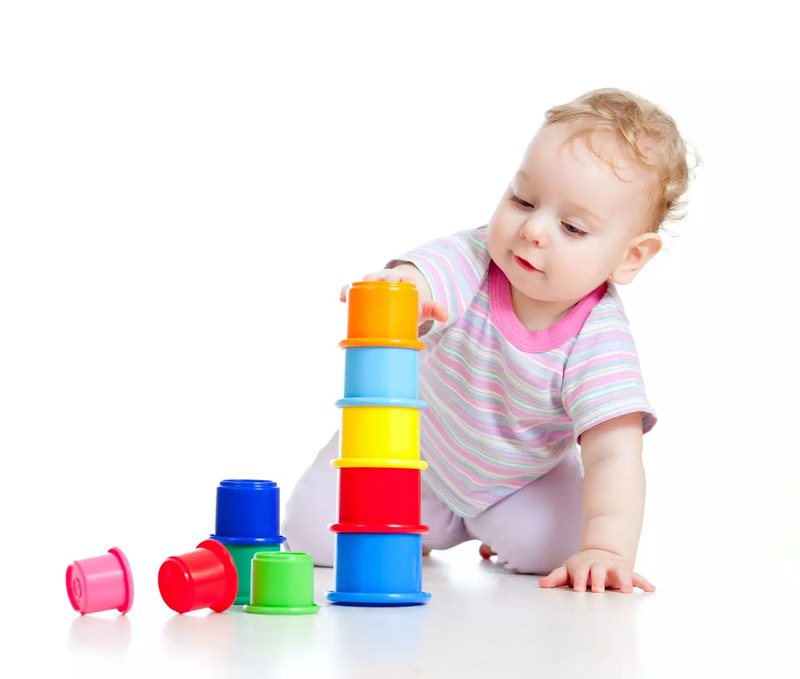 Your baby’s 1st 2 years are an exciting time of new discoveries and exploration. They have so much to learn and are very busy– almost in constant motion. Children explore their world by touching, experimenting and watching others. They can’t predict the outcomes of their actions, and they can’t think ahead—that’s what you get to do! Your baby will require constant supervision during her earliest years. 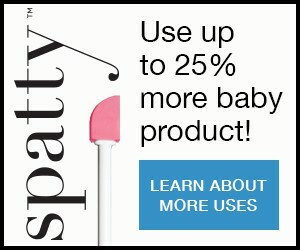 Your baby will develop so quickly, seemingly acquiring new skills and tricks overnight! Long before you’ll need to gate of the stairs, add outlet covers and install cabinet locks, there are many ways you can baby proof your child’s environment. Use these proven tips to protect her from the 8 most common dangers in her 1st 2 years of life. Baby needs a safe sleep space, in a crib designed just for babies and that is free of blankets, pillows, bumper pads and stuffed animals. Always place your baby on their back to sleep in order to prevent Sudden Infant Death Syndrome (SIDS), which is the leading cause of death for children before age 1. While new sleep recommendations advise your baby should share your room with you in the first year o life, your baby should never share your bed; they can become trapped in the bedding, get rolled onto by an adult or fall out of the bed. An infant crib or bassinet in your room is the safest sleep surface for a baby. Research shows it’s not safe to leave baby sleeping on a couch or chair as baby may roll into the arms or back and become entrapped. Babies are little wigglers almost from birth. They kick their feet, wave their arms and squirm around; they can move themselves! Prevent falls by never leaving your baby alone on an elevated surface, such as a couch, bed, or changing table—even an infant swing or bouncer becomes unsafe if baby isn’t securely fastened into the harness. If you have other children, teach them that they’re not to pick up, lift or carry baby without your help and supervision. Little hands can easily drop baby, resulting in injury. Baby should always be restrained in a car seat every time they’re in the car, whether it’s your car, your caregiver’s car or a taxi. It’s safest for baby to ride rear-facing until age 2, when they’ll likely outgrow their infant car seat. Baby never rides in a front passenger seat unless you only have a single cab truck; ensure the airbag is disarmed if baby must ride up front. Baby proof your car and get baby’s car seat installation checked at a fire or police station; they’re hard to install correctly! And never forget you have baby in the vehicle, especially on warm or hot days. Put a critical item—your purse, cell phone, briefcase or even the shoe from your non-driving foot – next to your baby in the backseat each time baby is in the car with you and you’ll never forget baby each time you leave the car. You may be tempted to carry a sleeping baby in their infant car seat into the house to let a nap continue but although an infant car seat may be designed with a bottom that allows it to rock, it’s typically not a safe place to sleep apart from when it’s properly installed in the car- as baby’s head can fall forward, allow their chin to rest on their neck, which may restrict baby’s airflow. Baby wants to put everything in their mouth! This is a huge choking risk. Keep small objects out of their reach. Measure items with an empty toilet paper roll—if the item fits inside, it’s a choking hazard. Use caution when introducing first foods; small crunchy bites can choke baby. Avoid round shapes, like grapes or hot dogs (in fact, avoid hot dogs!). Cut foods into small, angular pieces for baby to pick up and enjoy. By now, baby is upright and likely walking, if not crawling fast and standing up with the help of furniture, chairs and tables. Your kitchen is a new danger zone! While cooking, keep the handles of your pots and pans turned away from the front of the stove so that little hands can’t grab them. Baby proof your kitchen and install guards over your stove knobs to keep your toddler from turning the burners on. While baby may love watching you stir a pot, never cook with baby in your arms—hot oils or liquids can splash and cause serious burns. Other burn hazards include barbeque grills, fire pits and fireplaces. Remember how everything goes in baby’s mouth—that increases their risks for poisoning. Cabinet locks are essential, especially on lower cabinets, but it’s an even safer practice to keep dangerous substances like cleaning supplies, dish detergent, vitamins and medications in a locked cabinet well above your child’s reach. Never call medicine candy as this makes it more appealing and more likely to be eaten. Post the phone number for poison control near your home phone and in your cell phone—use it even if you’re unsure as to what baby swallowed. Falls are more common during the toddler years. Use baby gates, especially around stairs, and locks and guards are important for all windows, especially on the upper floors. Is your child a climber? Keep chairs, stools and anything stackable away from kitchen counters or tables. Heavy furniture, like shelves, bookcases, TV stands, should be bolted to the wall—even a set of drawers can become a tantalizing climber for adventuresome toddlers. For toddlers, climbing is fun! You don’t have to have a swimming pool to risk drowning: Any amount of sitting water poses a risk. A mere 2 inches is enough standing water for a child to drown, like your dog’s deep water bowl. Empty all pails of water, drain bathtubs and sinks, and use safety alarms and fences around swimming pools. NEVER leave your child unattended in a bathtub or pool—even for a single minute. Most people don’t know that drowning is typically silent—you will not hear your child struggle. Resist the temptation to rush into booster seats as your toddler grows—car accidents are still a major cause of death and injury among toddlers. Always buckle your baby into an age and weight-appropriate car seat for every car ride. And use your back-up camera; your mobile child is now at increased risk of being hit by a car or backed over as you leave the driveway. Always know where you child is and that they’re safely in or away from the car before shifting into reverse.